Yes, that is a Bald Eagle. Yes, this is Oregon. No, this is not some remote inaccessible part of Oregon that is an several hour drive from Portland and takes another two or three hours to hike too. This was taken near Mt Tabor within the city limits of Portland Oregon. 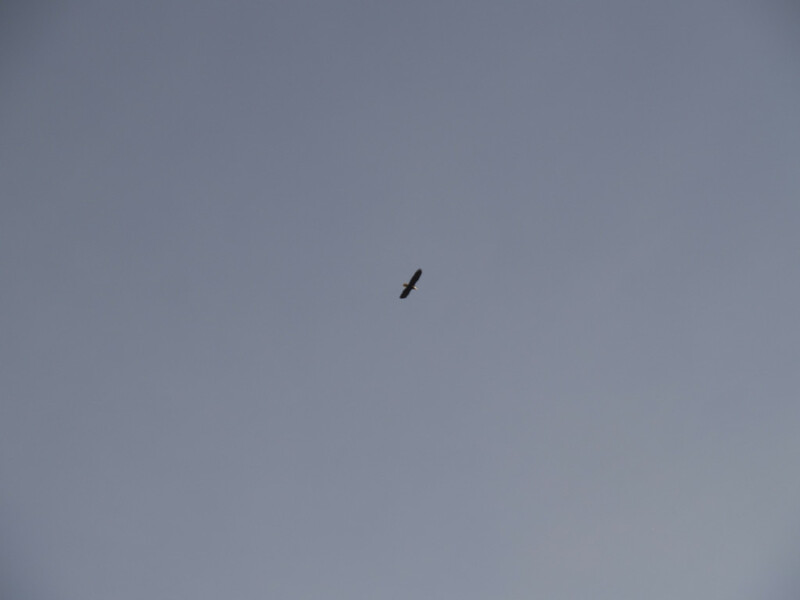 Mr. Bald Eagle was flying around without a care in the world. Taken of the Endangered Species list in 2007 the American Bald Eagle has made a huge come back. Over 70 nesting pairs live along the Columbia River below Bonneville Dam. There are several good spots along the Columbia River to view these gorgeous creatures, Sauvie Island wildlife viewing area being one of the best. Or just randomly drive down Highway 30 towards Astoria and stop when you see one. Doing this I’ve seen a good dozen Bald Eagles, hundreds of Golden Eagles, and once, a Bald Eagle catching a fish out of the ponds near Trojan Nuclear Power Plant.